What is Self-Help for the Elderly? Self-Help for the Elderly is a 501(c)(3) organization that began serving seniors in 1966. Today, we have developed into a multi-service organization that serves over 40,000 seniors each year in San Francisco, San Mateo and Santa Clara counties by providing programs ranging from employment training and social activities to in-home assistance and residential board and care. We strive to promote the independence, dignity and self-worth of seniors. Why does Self-Help provide cleaning services? The Employment Training and Economic Development Department, which oversees the cleaning services, creates and provides training, counseling, employment and job retention for unemployed and monolingual adults and older adults with a view of enhancing their independence, self-esteem and quality of life. I would like to know a bit more about your services. Are your services limited to the elderly only? Our services are open to all and not limited to the elderly. 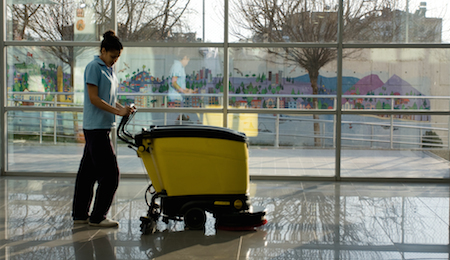 Apart from residential cleaning or housekeeping services, we also provide janitorial services for clinics, shops, offices, churches, schools and commercial buildings. Can I trust Self-Help for the Elderly? Who are the people coming to clean my house? Do they know how to clean? All our housekeepers are legal residents. They are trustworthy and have been trained in housekeeping services. Is Self-Help for the Elderly insured? We provide workers' compensation and liability insurance. We recommend customers to procure adequate insurance coverage for their personal valuables and property at their own discretion. What are the differences between one-time and regular cleaning services? For one-time services, no written service agreement is required. For regular weekly or bi-weekly services, a service agreement and a refundable security deposit are required. Our Client Relations Specialists provide on-going supervision and maintain close contact with both housekeepers and customers. For the first visit of a regular cleaning service, our Client Relations Specialist will accompany the housekeeper to your place for orientation. What do I do if I want to re-schedule my services? Can I ask for replacement of my worker? All you need to do is to provide sufficient advance notice for rescheduling. If you are not satisfied with the service, you may request for a change of housekeeper anytime. I would like to terminate my cleaning service contract. What do I need to do? Our service agreement may be terminated by either party by giving sufficient notice. Please refer to our service agreement for details. We prefer all services to be paid in check or cash. Please make checks payable to "Self-Help for the Elderly". For one-time services, payment is due upon completion of housekeeping service. For regular weekly or bi-weekly services, payment is due on the same day when service is completed. A refundable security deposit equal to one week's pay is also required.